I’ve had a love/hate relationship with art games over the past year or two. I find I Can Hold My Breath Forever and I Wish I Were The Moon sort of pretentious while I adore Small Worlds and The Company of Myself. Passage was somewhat interesting to me, but probably fell a bit in between adoration and apathy for me. Still, Passage is somewhat charming and interesting for what it does. 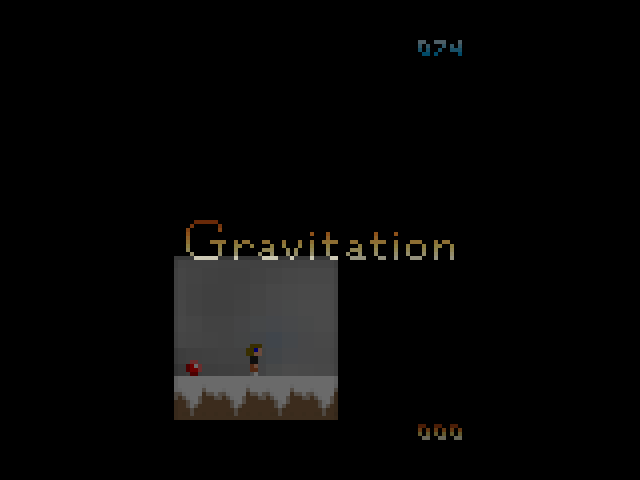 Regardless, this post is not about Passage, it’s about Gravitation, which I find actually more interesting. 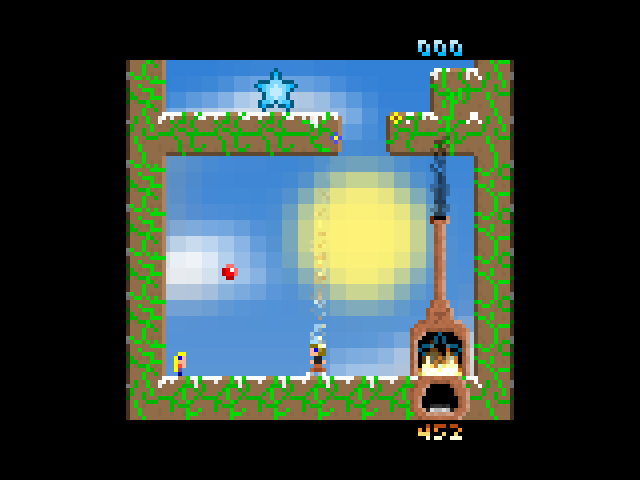 Gravitation is a game where you play as a Father who must play catch with his daughter in order to light his head on fire and propel himself towards the stars of professional achievements, which only become worth something once brought back into the realm of his domestic life. Despite those labels not really meaning anything to me, the mechanics of the game so honestly convey the underlying themes that I couldn’t help but feel deeply moved only minutes into playing. 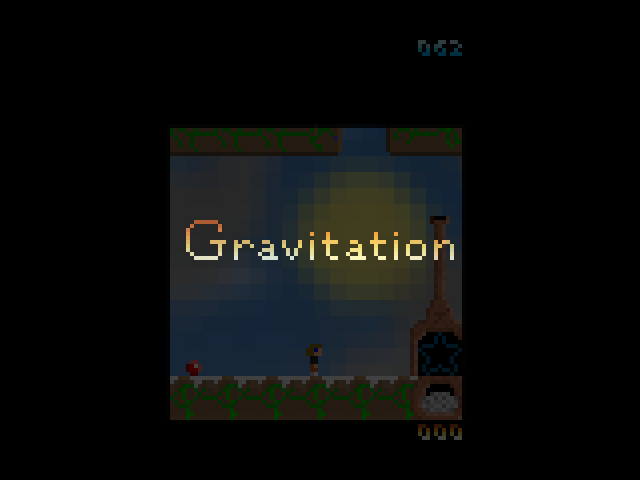 Gravitation is not a game about time management, balancing one set of goals with another, or figuring out what’s truly important. It IS those things. When I play Gravitation I am not playing a game about growing old and death, like Passage, I’m actually actively feeling and enacting the aesthetics and themes through my moment-to-moment decision making. As the player I am immediately faced with a large number of meaningful decisions to make. Narratively, they could be interpreted and enacted in a variety of ways, however, as a rational player, I am going for as high a score as possible. In order to perform this optimal strategy, at least to my knowledge, I must play catch with my daughter just long enough to get a nice head of flames going, before bringing down one or two stars, always taking the quick, right-most path, back home. I dump the stars in the fire as quickly as possible, ignoring the ball, tempting though it may be. Yet when the daughter disappears and with her, the catalyst for my progress as a rational player, I’m suddenly directly confronted with the question: Should I have spent more time with her? Should I have built up a larger set of flame-locks, and pulled down more stars at a time? A direct correlation starts to form between the narrative themes and my choices as a strategic player. I personally choose to ignore my “daughter,” and because I’m the one making that choice, not the built-in narrative of the game, it’s painful and real. 74 is a decent score, right? This to me, is one of the key elements that makes Gravitation stand above other art games. Not the music, or the 8-bit art style, or the slow fades to black, or the fact that it’s a father and a daughter, or the fact that Jason Rohrer writes about it so emphatically and endearingly. It’s not that these things don’t move me as someone observing an aesthetic form (Passage is moving in these ways) but that Gravitation actually is such an expertly crafted, short, stressful, decision-making-jammed, meaningful experience, that through playing it I’m enacting my own meditations on time management and life balance. It’s wonderful.